Disclosure: This is a paid post in collaboration with Whiskas, but all thoughts are my own. Check out their website for more information on their cat food and their YouTube channel for fantastic Kitten Kollege videos. We’ve had cats for years, since we first became home owners, and it has been such a joy to watch them grow from tiny kittens into cats. 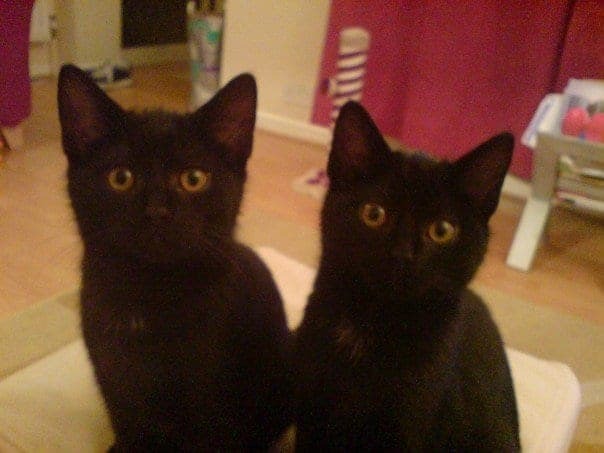 It seems like yesterday that we picked two tiny balls of fur up and welcomed them into our home. Our cat Leia is about ten years old now and over that time she has learnt to use a little tray – and go to the toilet outside when she needs to. She’s learnt what she’s allowed to do and what she isn’t allowed to do – like not going on the kitchen worktops and not scratching the sofa. We are now in a happy routine of family life with Leia included in that. She gets fed at regular intervals, has company for most of the day and sleeps pretty much wherever she likes until we need to use that particular spot that she’s made herself comfortable on. But there are things that I wish Leia would learn to make life that bit easier or that much more fun. It would be great if she learnt different miaows for different things – miaowing to tell us she wants food, miaowing to tell us she wants to go out or miaowing to tell us she wants a cuddle. At the moment we have no idea what she wants when she miaows so it would be great if she could vary the miaows a little. But, if she wanted to learn something that would entertain us all and give us a little lift each day then she could learn to dance. Seeing Leia cha-cha-cha from one side of the room to the other or doing a waltz across the sofa would definitely brighten our days – and give Leia something new to pass the time too. It’s got to be more than a little tedious being an ordinary cat but if Leia really wanted to learn something new, she could always sign up to Whiskas Kitten Kollege, make some new friends and further herself too! Haha I love it! My old cat used to have some funny habits, they can be such little characters and I really miss having a cat around the house but it’s not the right time for us to get another one at the moment.